Linux is great for web development, but not necessarily for the obvious reasons. The reason I find developing websites and server programs much better on a Linux machine than on a Windows machine is as simple as the following three letters SSH. SSH stands for Secure SHell and is a way to remotely log into a server over a secure connection. While you can connect to SSH shares in Windows, connecting to one under Linux is a far more integrated experience. For example in KDE’s Dolphin you can connect to the SSH share right within the file browser itself. Then, as you do work, changes can be reflected instantly to the remote server. This saves you a lot of time instead of having to use (S)FTP to transfer files to and from the server. GNOME also has a similar ability through its Connect to Server menu. Again there are Windows programs that will mirror changes in a local directory to a remote server through SSH but as far as I know Windows Explorer itself does not have this ability (FTP but no SSH?). 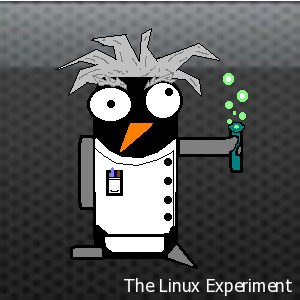 So next time you are in the mood for web dev, give Linux a shot! I couldn’t agree more. As much as I truly dislike web development, Linux makes it (almost) a joy. The combination of locally mounted remote SSH (I use SFTP in GNOME, but same idea) folders and ssh login to the remote server directly from the local terminal is an incredibly powerful one. When doing the same job on Windows, I use a combination of PuTTY and WinSCP. The only thing that I like more on Windows is Notepad++ over Gedit.